When fitting Ecofloor to a timber sub-floor it is essential that you take the standard precautions to stabilise the floor and prevent floor movement. You must always over-board the timber floorboards or chipboard with a surface suitable for tiling. 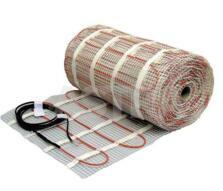 Flexel recommend Ecomax Insulated Tile Backer Board or primed 18mm WBP Plywood. For best performance it is recommended before fitting Ecofloor you fit a layer of Ecomax Insulated Tile Backer Board. 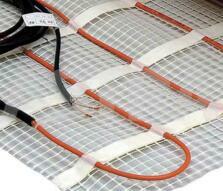 This will minimise heat loss and ensure quicker heat-up times for the floor. Ecofloor can be laid directly onto an un-insulated floor, however this will slow heat-up times, increase running costs and is not recommended.